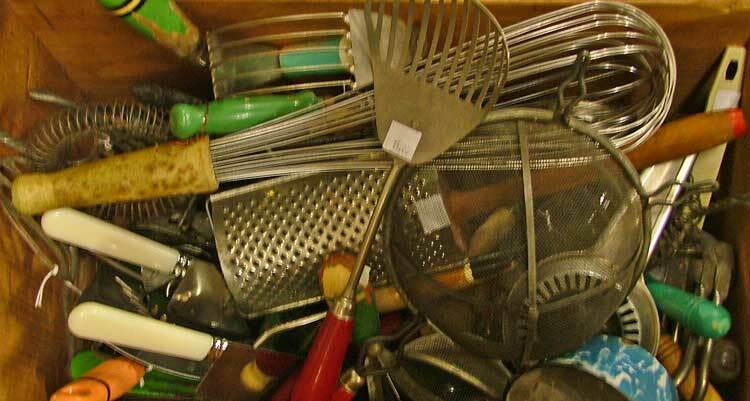 Are you in need of a particular kitchen utensil and need it NOW! Pop into Bahoukas Antique Mall and see if we have it for you. You’ll truly be surprised at our Surprise Boxes full of very practical and useable items! Maybe you just need a small ladle for gravy or a handy serving spoon. Yep, we have a Surprise Box of those items, too. Seriously, if you’ve not checked out the hidden boxes of ‘surprises’ that can be found throughout our shop, you really need to stop in and check us out. Of course, we’ll be watchin’ for ya! PLEASE NOTE: We will be closed on Thanksgiving! But we’ll be ready for you today and throughout the Black Friday, Small Business Saturday, Sunday and Cyber Monday… and we’re right here in your neighborhood! Wishing everyone a Happy and Safe Thanksgiving Holiday!